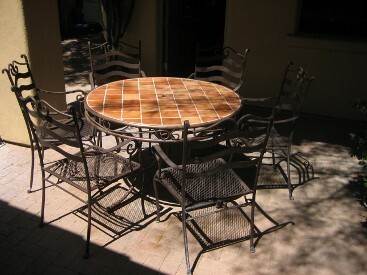 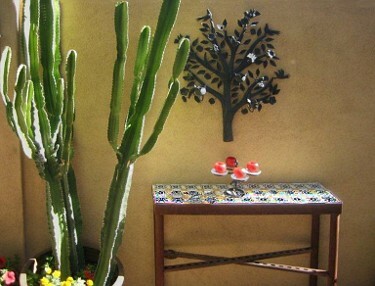 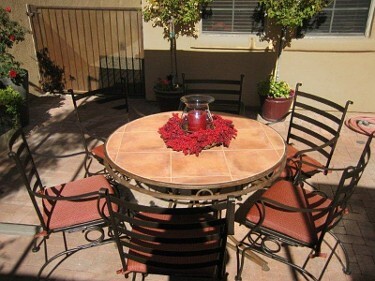 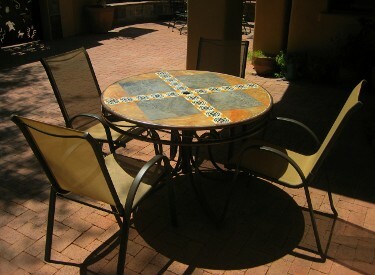 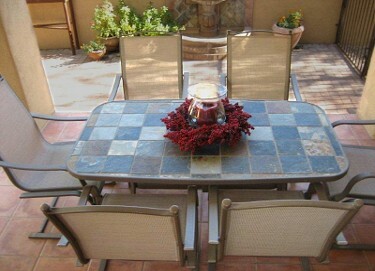 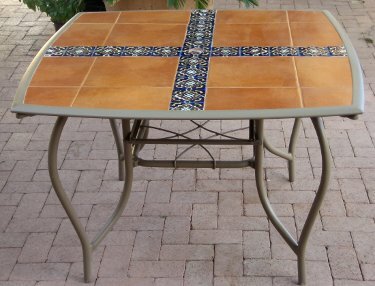 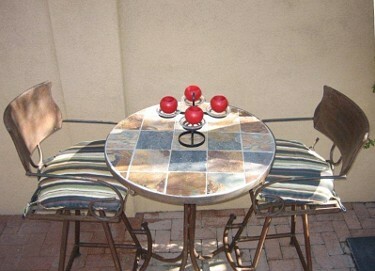 Garden Art Tucson uses Italian ceramic tile, which comes in numerous colors, allowing us to mix colors on a single table to create a lively and different look. 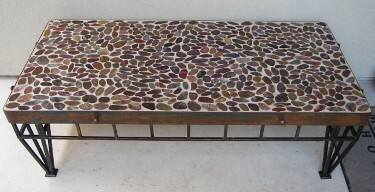 The metal bases are further rusted when they arrive from Mexico using a chemical rusting treatment and when the rust finish is just right we apply a clear acrylic coat to protect the finish and prevent further rusting. 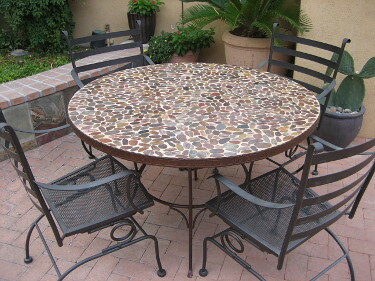 The metal tables which arrive without tops from Mexico are fitted with a sturdy steel bar support system and then we apply a circular cut cement board that will support the ceramic tile top which is laid with mastic. 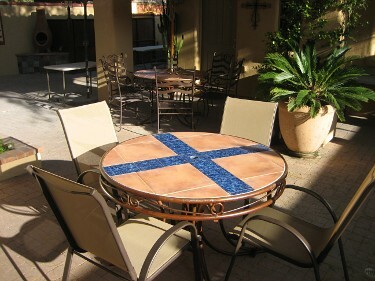 The tiles are individually cut to fit perfectly in the circular top and the final step is to grout the very thin grout lines with flexible color grout that matches the tile color and then we apply Thompson water sealer to protect from water penetration.